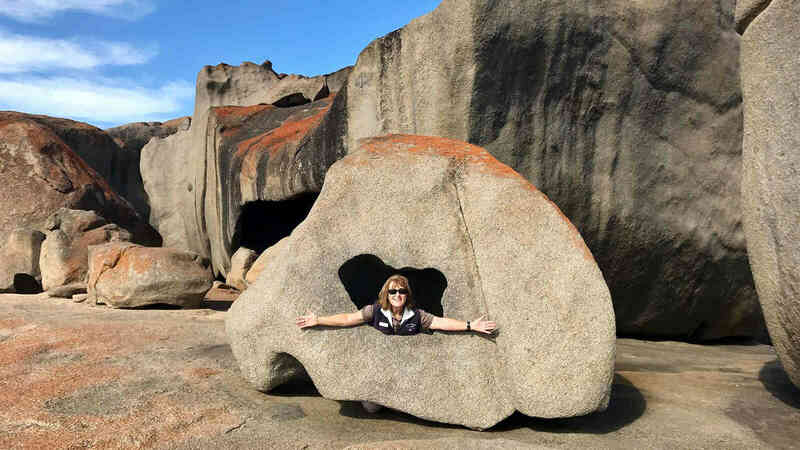 At Kangaroo Island Adventure Tours we're passionate locals who love sharing our island with travellers from all around the globe. 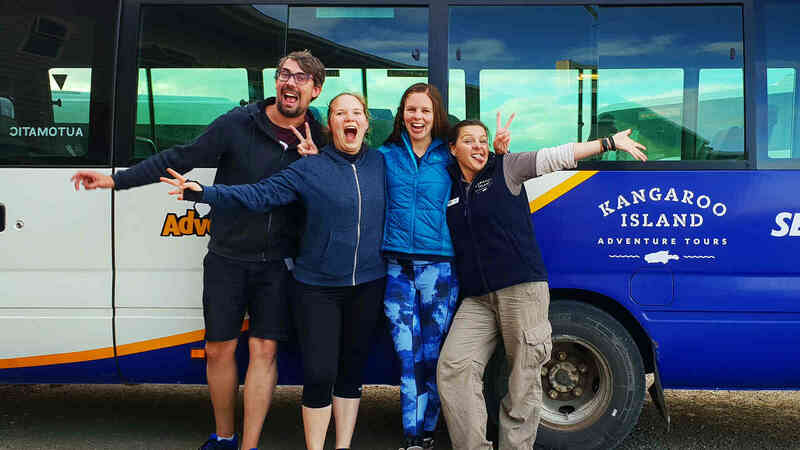 Our great value, Kangaroo Island Wilderness Explorer Tours are led by fun-loving, professional guides who also happen to be Kangaroo Island specialists - unlike other operators, we only operate tours on Kangaroo Island. We want to share with you the wilderness thrill of a lifetime, Kangaroo Island style, and we'll stop at nothing to make sure you get it. Following your 45 minute journey from the mainland, our comfortable, 20-seater coach will be waiting as you disembark the SeaLink ferry at Penneshaw. Prepare for an entertaining and information packed journey filled with pristine wilderness, spectacular coastline and unforgettable characters from both KI's human and animal kingdoms. Thanks to our small group sizes, you'll have ample opportunity to speak to, and learn from your guide, while getting to know your fellow adventurers. That might be why people love us. All touring fees, entry charges and dormitory share accommodation at the renowned Vivonne Bay Lodge*. 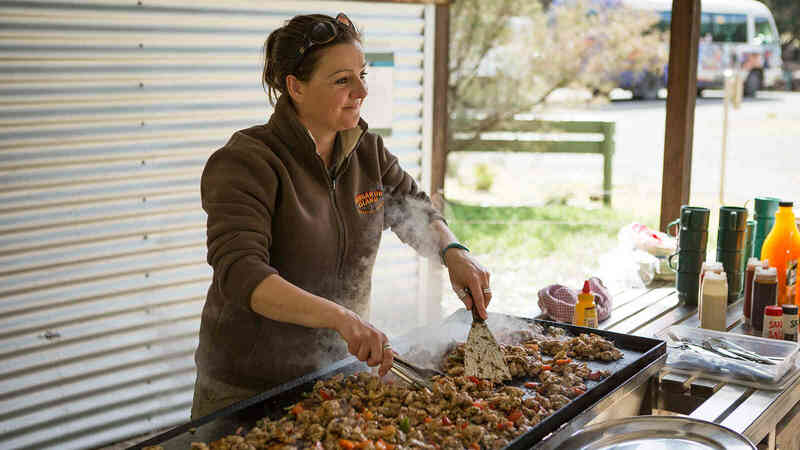 All meals which are delicious, healthy and prepared locally using fresh, Kangaroo Island produce (where possible). Special dietary requirements can be catered for. * Accommodation utilises shared bathroom facilities. Private rooms (also with shared bathrooms) are available at an additional cost. 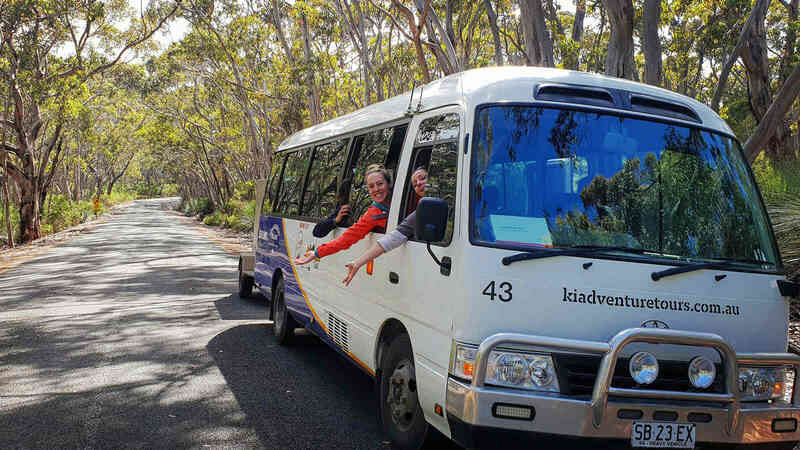 Kangaroo Island Adventure Tours is part of the SeaLink Travel Group which is one of Australia's most dynamic tourism and transport companies and brings the nation's best tourism experiences to the world with award winning brands under the SeaLink and Captain Cook Cruises brands. SeaLink is well known as the provider of the ferry service between Cape Jervis, south of Adelaide, and Penneshaw on Kangaroo Island. 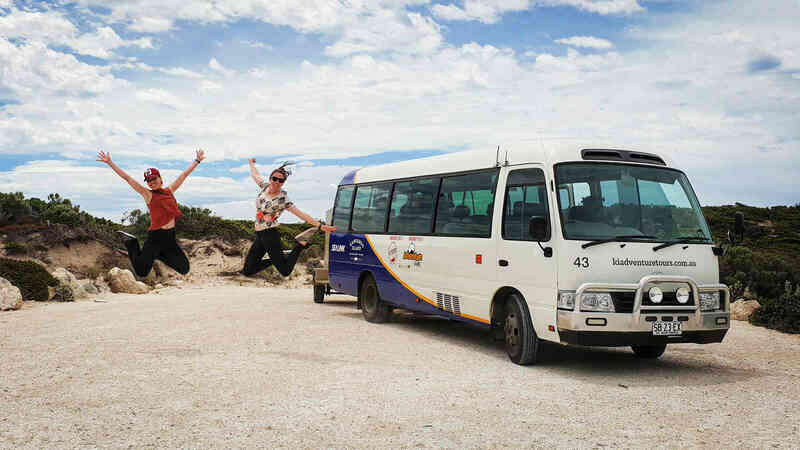 The company is also a major holiday package provider, offering accommodation and coach and 4x4 tours to Kangaroo Island and South Australia.